Register for the Hungry Dog Dash 2019 today! Whether you are a serious distance runner or a casual weekend warrior, come join us in the Hungry Dog Dash on Sunday, February 3, 2019 at 8:00 a.m. for the 8th Annual Point Loma High School Cross Country Team 5K Run. The course will be fast and beautiful as you run along one of San Diego’s most spectacular waterways, in Liberty Station, Point Loma. It is our hope that our race will attract a large number of competitors from the San Diego area racing communities. This race is very dog friendly!! 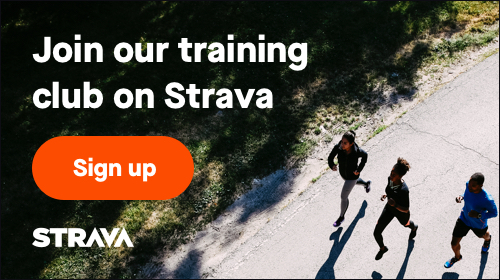 Feel free to bring your four legged running buddy to this event! Please note: Leashes are requires. 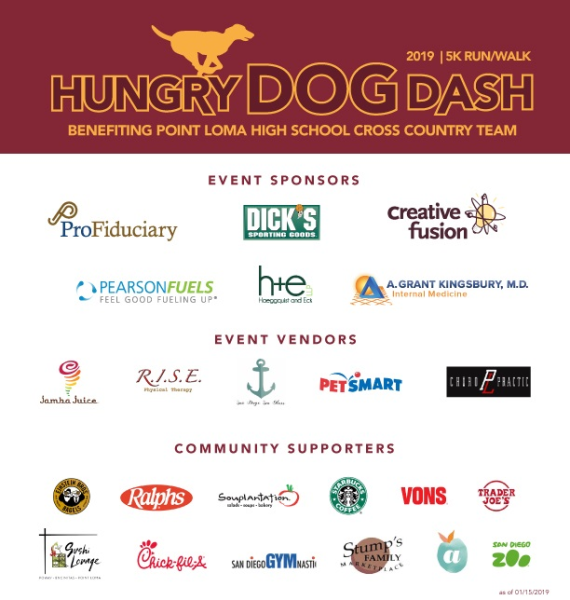 The Hungry Dog Dash is a fundraiser for the Point Loma High School Cross Country Team, but also a way to help the campus’ clubs and organizations as well as local small businesses to advertise themselves. We hope you will join us this year for a fun, family day promoting fitness and healthy life styles! This Hungry Dog Dash will be fun for the whole family that will include food, drinks, and fun for everyone! Please note: The deadline for us to order t-shirts is January 15th, 2019. We will do the best we can, but after that date we cannot guarantee shirts &/or sizes and will try to accommodate people as best we can. Thank You to Our 2019 Sponsors and Community Partners!